Winemaker and viticulturist Rodrigo Soto of Huneeus Vintners was in Southern California recently to preview his 2014 portfolio of Ritual Sauvignon Blanc, Chardonnay and Pinot Noir wines. I had a conversation with him about the wines and tasted the Chardonnay and Pinot Noir releases. I first met Rodrigo a few years back when he was crafting wine at Sonoma’s Benziger Winery. The wines that caught my interest specifically were the certified organic and biodynamic Signaterra Vineyard and de Coelo Vineyard Sonoma Coast Pinot Noirs originating from the Benziger de Coelo Estate. He had joined Benziger in 2006 after working at Chile’s Matetic Vineyards in San Antonio for a six year tenure where his wines won international acclaim. After his success at Benziger Winery, Rodrigo returned to his native Chile in 2012, and now crafts the portfolio of Huneeus Vintners Chilean wines including Ritual, Primus, Veramonte and Neyen along with a team of viticulturists and winemakers including renowned terroir specialist, Pedro Parra. Rodrigo is a protege of Alvaro Espinoza, who pioneered many organic and biodynamic practices globally. Currently, Rodrigo is converting all the large-scale vineyard holdings of Huneeus in the Apalta and Casablanca Valleys to organic farming with the goal of featuring terroir in the company’s wines. Rodrigo has a special passion for Pinot Noir and his exhaustive research and extensive experience in Chilean vineyards have revealed Pinot Noir’s promising potential in Chile. He finds solace in the Casablanca Valley, located on the northwestern side of Chile’s coastal range. The region’s proximity to the Pacific Ocean, early morning fog and gentle maritime breezes, the Mediterranean climate, and the decomposed granite soils have proven ideal for growing Pinot Noir, but it has taken a different mindset of serious commitment to maximize grape quality and institute less intrusive winemaking that has led to gains in quality of Chilean Pinot Noir. 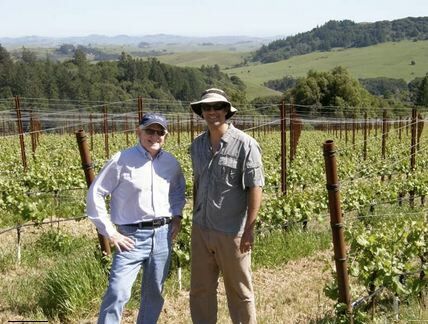 Rodrigo works with 90 acres of older plantings of Pinot Noir that date their origins to 1994 and early 2000. The original plantings of UCD clones 9 and 16 were brought to Chile by Hunneus and these vines have thrived, showing self-regulation, little dehydration (the regions is arid with little rainfall), and have remained virus-free. The subsequent plantings and the 60 acres of newest Pinot Noir plantings have included Dijon clones 115, 667, 777 and “828,” which are subject to more dehydration but offer more transcendent and pure Pinot Noir character. Chilean Chardonnay has historically been too simple and light, and Rodrigo is working to change that image. This is a work in progress, as he attempts to bring out the best from specific sites. He is employing more 400 liter oak barrels, mostly neutral, to lessen the impact of oak on the wines, and using partial malolactic fermentation to retain freshness in the wines. 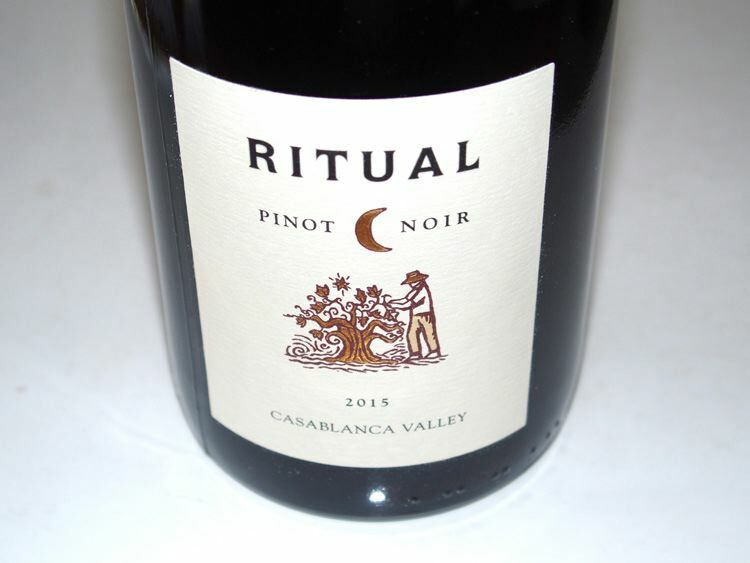 Ritual wines are reasonably priced, represent good value, and are widely distributed in the USA. On the Pacific Coast, look for the wines in supermarkets, Costco, Bev Mo!, and Total Wine & More. Visit www.ritualwines.com. The 2015 vintage in Chile was marked by beneficial rainfall at the beginning, and ideal weather that allowed slow ripening of the grapes.